A few years ago, a friend invited me to try a sport called hurling, a millennia-old Irish sport wherein you work with a bunch of stick-wielding teammates to get a little ball into a net or over a bar. It’s known as the fastest game on grass (not to be confused with a weed-smoking antelope). My friend grew up near Milwaukee, where there’s a pretty active hurling community. At the time, he seemed to be the only person around Knoxville who knew much about the game. I bought the pictured stick (called a hurley) off of him and we hit around a few times, and that was the end of it. 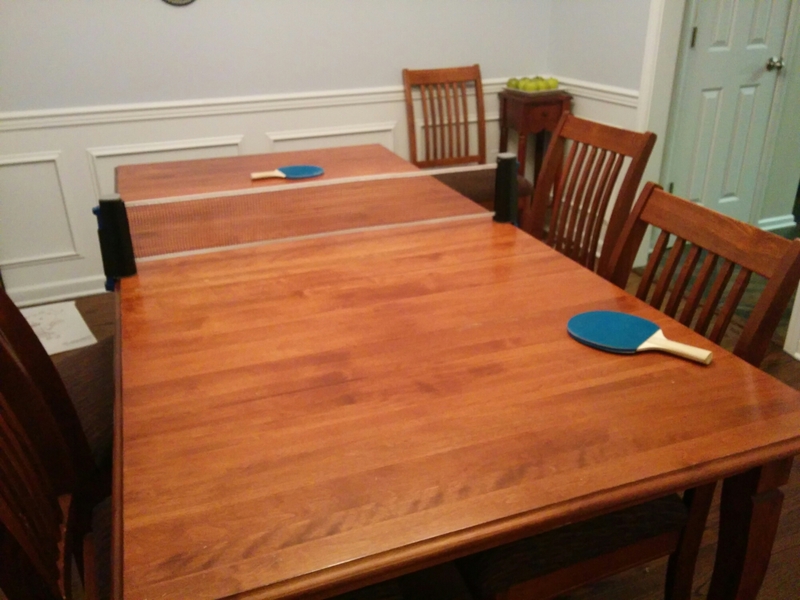 Some time in the last year or two, he mentioned that there was a group who he’d been playing with locally, composed largely of some Army reserve guys who were using the sport to help keep in shape. I wasn’t really interested at the time and wasn’t in the best of shape myself. Now, it turns out, there’s a Knoxville Gaelic Athletic Club (hurling being but one of several old Irish sports promoted by GACs around the world), and a couple of months ago, I decided to give hurling another try. I had put some effort into getting myself into better shape again but was tired of the same old exercise regimen. I thought playing a sport might be fun. I had had a not great experience with a community softball league a few years ago, so I wasn’t terribly optimistic, but when I contacted the group via Facebook to ask if an old out of shape guy with basically no experience would be way out of place, they were very nice, and I decided to risk leaving my bubble and going out into public to interact with human beings anyway. And it’s great! The group is very welcoming, and I now very much look forward to training sessions. I’m a little skittish about actually playing in upcoming matches. For one, I’m not that good, and nobody wants to drag a team down. I also simply lack experience — I’ve watched a couple of televised hurling matches by now, but I haven’t absorbed a lot about strategy or game play beyond the basics, I’m bad with game strategy anyway, watching and playing are very different things, and I’m sure to make lots of stupid mistakes on my first few outings. It’s also a fairly physical team sport. You swing sticks around and body check one another, and this is a very different sort of play than I’m accustomed to from sports like softball or tennis in which you’re fundamentally playing the game either solo or as a somewhat isolated cog in a machine. I’m a little afraid of getting hurt, or of hurting somebody. I’m also… middle-aged and increasingly aware of it. So the jury’s still out for me on playing confidently in any real matches, but I sure enjoy hitting around, and a little scrimmaging is fun, if, for me, also a bit nerve-wracking. I’m also not that in shape, so I wind up out of breath pretty quickly at scrimmage time. Here I am lining up a shot that I likely swung and missed at. Photo by Vika Claytor via this post. A few weeks ago, I injured myself, and not in one of the ways I had sort of expected to (broken collar bone or busted finger were on my short list, and I haven’t ruled these out yet after a few weeks of play). We were training in the rain, on a very muddy field. I had bought some cleats a week or two before, the first cleats I had worn since probably middle school. 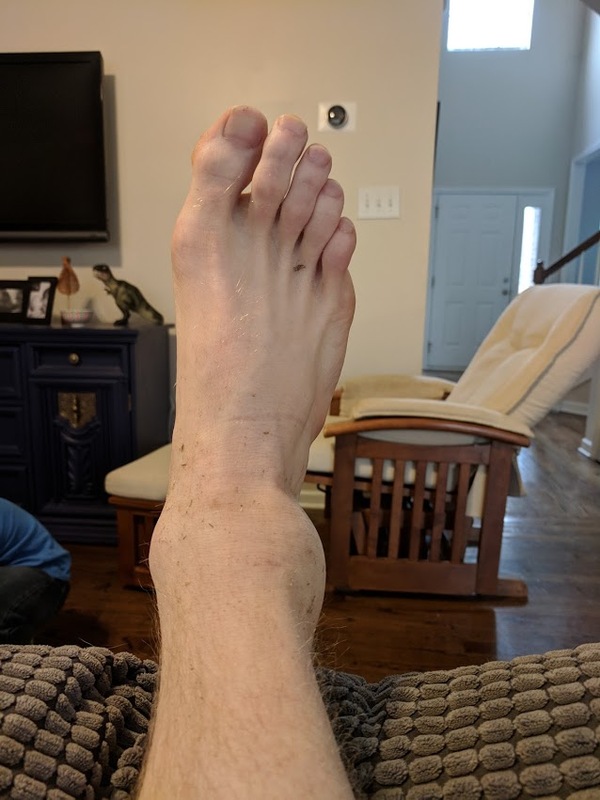 I don’t know exactly what happened, but I was running with somebody and jockeying to get the ball, or about to be jockeying for it, and then my ankle rolled over really hard. 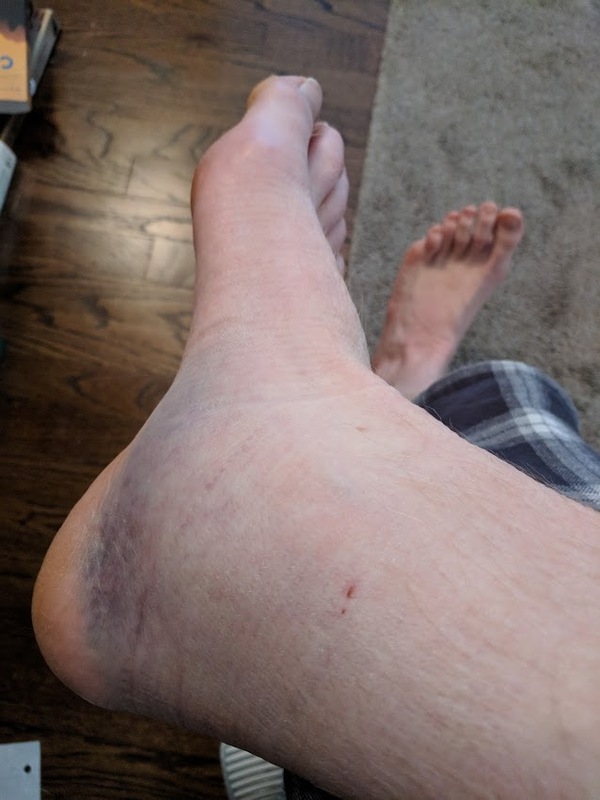 Whether I hit a divot in the turf or whether my cleats dug in while my body kept its sideways momentum I don’t know, but my ankle sort of popped, and it hurt, and I went down and expected to lift my leg and find my foot dangling loosely from the end of it. If you live near Knoxville (you probably don’t — most of my friends and colleagues live on the internet alongside most of my drive-by readers) and are looking for a fun if not wholly safe sport, consider giving hurling a try. It’s been great fun for me, and I can vouch for the local group as a fun bunch to poc around with.